My Mom's Best: SANRIO HELLO KITTY TOWN Presents the Sweetest Show in Town! 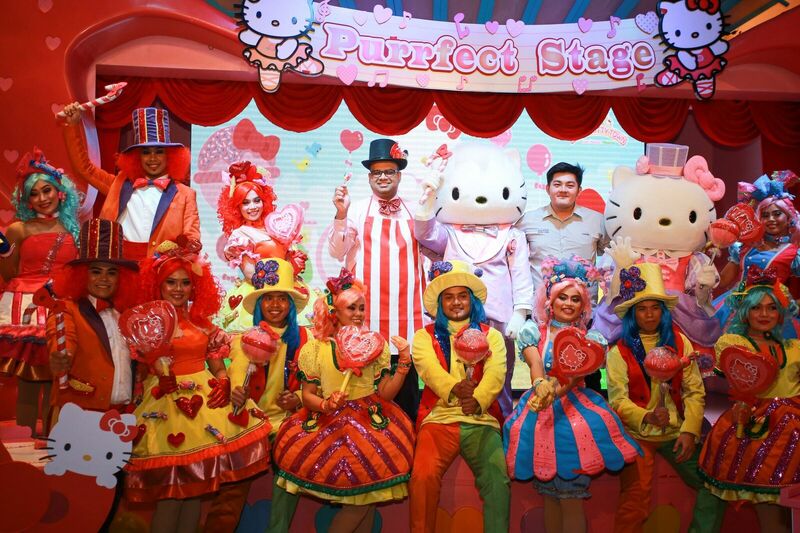 SANRIO HELLO KITTY TOWN Presents the Sweetest Show in Town! SANRIO HELLO KITTY TOWN launches the “Candy Parade”, a new interactive Hello Kitty show featuring an exciting choreography that promises a sweet experience for all visitors to the theme park. Expect an entertaining medley of music, dance and candy carts in this full 10-minute show featuring Hello Kitty and friends in an entirely original piece incorporating the use of roller blades and hover boards. 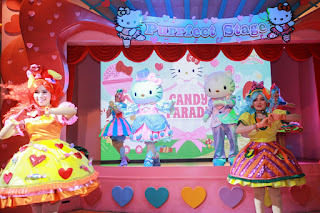 The show is wholly produced by the attraction’s own entertainment team, and is available only in SANRIO HELLO KITTY TOWN, Puteri Harbour, Malaysia. “We are always aiming to keep our entertainment content fresh and exciting for our loyal guests. 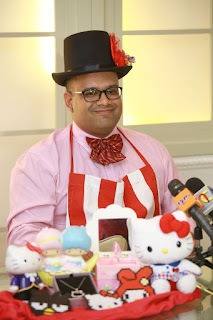 Right on the heels of launching the Hello Kitty Themed Rooms by Hotel Jen Puteri Harbour, the introduction of Candy Parade will not only elevate the overall Hello Kitty experience but also create a strong connection with her fans out there.” said Fahruddin Najumudeen, General Manager of SANRIO HELLO KITTY TOWN. In concurrence with the new show, SANRIO HELLO KITTY TOWN will also feature a new activity in Friendship Land play zone called ‘Colourful Friendship Quest’ where children aged 3 – 6 years old can participate and win prizes. The attraction also celebrates the 15th Anniversary of Cinnamoroll - one of Sanrio’s favourite characters, by providing limited-time only Cinnamoroll activities and promotions at the Wishful Studio, Dream Photo Garden and Cinnamoroll Café from March until June, 2017. School holidays are coming soon, parents can get start with their School holidays plan with children. It's a great bonding time together with family members. Johoreans are in for a treat! 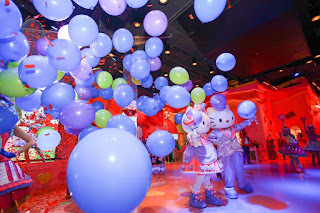 For the second time SANRIO HELLO KITTY TOWN and Thomas Town, Puteri Harbour is offering special priced All Park Pass tickets exclusively for Johor residents. Priced at RM65.00, the All Park Pass tickets will grant admission to SANRIO HELLO KITTY TOWN and Thomas Town, Puteri Harbour. The Johor residents-only exclusive promotion will be available at special events throughout the year, so keep an eye on the SANRIO HELLO KITTY TOWN and Thomas Town Facebook pages. so many things to see and play in Johor. it's lucky to be Johorean! ahhhh HELLO KITTY alw my favorite ! you must enjoy alot right ! What a great deal for Johoreans. Too bad I do not qualify for it!! No one will get tired of Hello Kitty. She's an Icon! I also want to see all the real hello kitty in sanrio hello kitty town! Bet going to be super fun! omg hello kitty.i love hello kitty as much as my nieces do. hello kitty will always have a soft place in my heart!